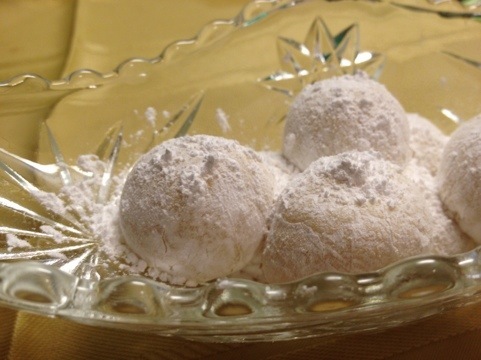 These truffles are so lemony and buttery. They’re just delicious. They’re also SO easy. I melted my chocolate and butter together in the microwave. The key to making truffles in the microwave is to go slow and don’t overdo it. I start with one minute then stopped to mix. Then keep warming the chocolate 30 seconds at a time making sure to stir. Once my chocolate and butter were melted together and smooth I stirred in my extract and salt. Chill the mixture in the fridge for two hours. Use a small spoon to scoop out the truffles. 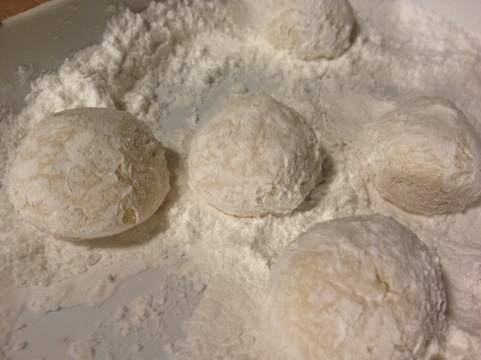 Roll the truffles into balls and then til them in powdered sugar. I keep my truffles in the fridge to keep them from getting soft until I’m ready to serve them or hand them out as gifts. I got around 30 truffles from this recipe. Oh mama…you are making me drool! !